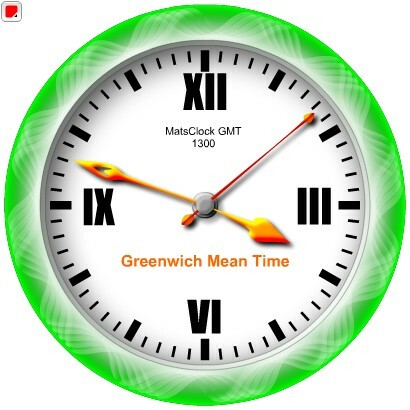 MatsClock-GMT is a Free Flash Clock that will always show you the Greenwich Mean Time (GMT) irrespective of what your computer clock is showing. The Color Square on top left of this GMT Clock lets you change the color of the GMT Clock Frame. What is GMT - Greenwich Mean Time ? GMT means Greenwich Mean Time which was adopted in 1984 during the International Meridian Conference. This is the time which is taken as reference the worldover. For example London Time exactly the same as Greenwich Mean Time for some part of the year. This is because Greenwich is in England. But in summer BST or British Summer Time is followed which is GMT + 1 hour. MatsClock GMT shows you the Exact GMT or Greenwich Meridian Time. Irrespective of which part of the world you take your computer, this MatsClock GMT will continue to display Greenwich Meridian Time, even though your computer clock will keep showing you the local time of the country you are situated. Why GMT Greenwich Mean Time Needed ? Normally, all human beings relate to the sun to find the time of the day. We call it noon when the sun is right on top. But if you live in a country as big as russia which spans many longitudes, then you will find it is still night in west russia when it is already breakfast time in eastern parts of russia. Thus there was a requirement to fix the time on certain longitude as a standard time for people living around that latitude. If the country is too large then they may have to follow different times in different longitudes, because looking at the sun the person on eastern russia thinks it is lunch time as the sun is on top. But in the western edge of russia a person looking up will think that it is just breakfast time. To avoid this confusion and for everyone in a country to follow the same standard each country promulgated the mean solar time on a standard longitude. But GMT was decided as the universal time reference for all the countries in the world, so that all human beings can refer to the same time with offset based on their location on earth. How GMT Clock Related to Your Local Time ? Greenwich Mean Time is the solar time at zero degree longitude. The earth is divided into 360 longitudes. All longitudes are lines that join the south and north poles of the earth. Each of them are exactly one degree apart because 15 x 24 = 360. Thus each 15 th longitude is exactly corresponding to one hour in time. This made humans to decide that the clocks on each 15 deg longitude will have a time difference of one hour from a place 15 longitudes away. Thus your local time will be decided on which longitude is the your position with respect GMT or Greenwich Mean Time. If you know which longitude is your home, then you can calculate exactly what solar time it is. Each longitude corresponds to 4 minutes. So if your home is on longitude 76 deg east then you need to ADD 76x4 or 304 minutes or 5 hours and 4 minutes to the Greenwich Mean Time (GMT) which you can see in the gmt clock on top of this page. Why is Greenwich Mean Time Zone Irregular ? Greenwich Meridian is actually straight. But the Greenwich Mean Time line is not straight because of political and geographical considerations. Some times a country may be following a standard time based on the time about a certain longitude. Some countries even have more than one standard time because of the large size it is spread on. All these factors may cause the Greenwich Mean Time Zone or any other time line to be irregular in shape. If the greenwich meridian is drawn straight then it will go through many countries who are following their own standard time and greenwich mean time has no meaning in these countries. To avoid this confustion between greenwich mean time or local standard time to follow, the greenwich meridian was drawn to exclude these country boundries so that only the countries that fall in the greenwich meridian and whose standard time is same as greenwich mean time falls in the greenwich time zone. The greenwich mean time GMT and Coordinated Universal Time or universal time constant UTC are same. Microsoft Windows Operating System also talks in terms of UTC. 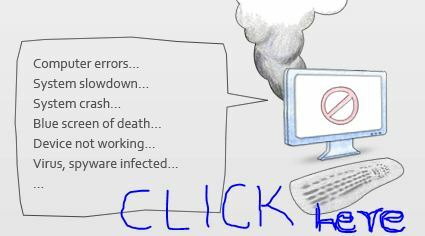 If you double click or right click on the clock running in your computer bottom right in the task bar,and click on the change date and time option and then click on the change time zone. Now you will find many options like UTC, UTC + 0:30, UTC +1:00 etc UTC is used to get the local time reference from the greenwich meridian time so that everyone knows what is the corresponding time in any country or place in the world. Without UTC or the GMT it is just not possible to go from one palce to another in a fast mode of transport like an aircraft or even a slow mode of transport like a ship sailing over the sea because if you travel east you lose time and if you travel west with the sun then you gain time. GMT or Greenwich Mean Time is used as the country standard time in many countries. The major cities that use GMT as their standard time are Accra, Abidjan, Casablanca, Dakar, Lisbon London and Dublin. The countries that maintain GMT or UTC Universal Co-ordinated Time as their country standard time are Burkina Faso, Cote Dlvoire, then in Denmark the Faroe Islands and Danmarkshavn of Greenland and its surrounding areas. Then there are countries using GMT as their country standard time like Gambia, Ghana, Guinea, Guinea-Bassau, Iceland, Ireland, Liberia, Mali, Mauritiania, Morocco, Portugal (including Madeira but excluding Azores islands), Sahrawi Republic (it has limited recognition), Sao Tome and Principe, then there is Canary Islands in Spain, Senegal, Sierra Leone, Togo etc. Lastly GMT is used as country standard time in the United Kindom (including Guernsey, Isle of Man, Jersey and Saint Helena, Ascension and Tristan da Cunha). The best part is that all these countries have their local time and GMT/UTC which are the same and they do not have to convert it like all other countries which keep an offset time from the Greenwich Mean Time.